Matthias graduated with Distinction from the University of Alberta with a B.Sc. Specialization in Psychology. 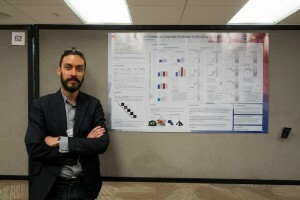 He joined the Cognitive Development Lab to obtain his M.A., and his thesis discussed how cultural context influences language activation in Korean-English bilinguals. He is currently expanding upon this work in his Ph.D., studying how familiarity and visual, cultural, and linguistic contexts influence language use and processing in bilinguals.